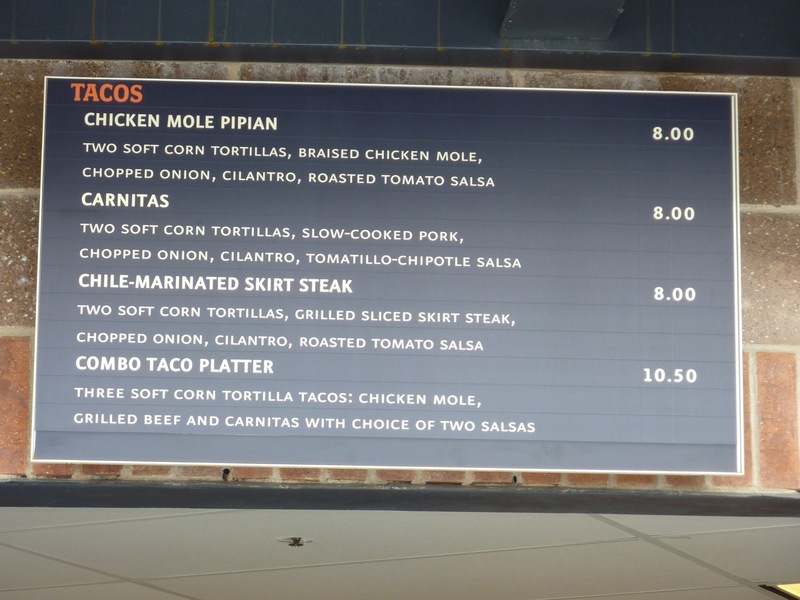 New Citi menus, drinks, and prices | Pick Me Up Some Mets! 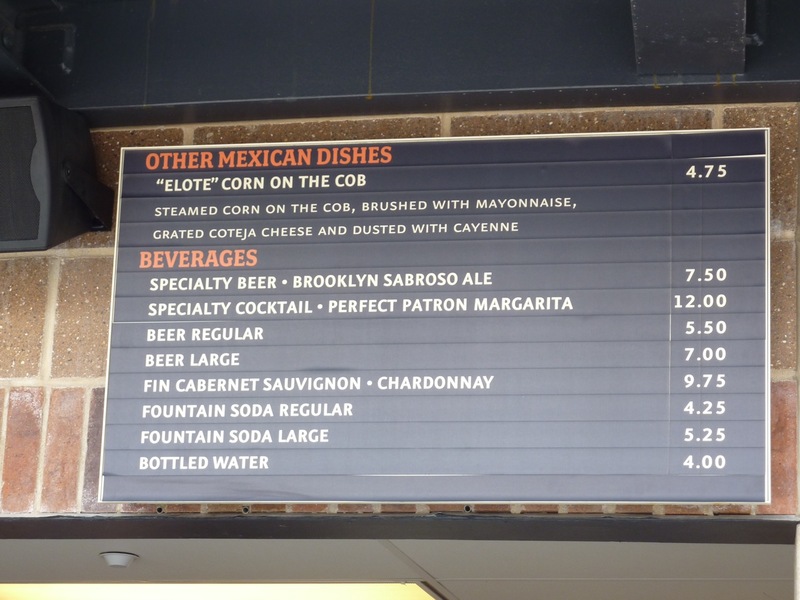 Before I post about the wonderful, sun-drenched opening day we Mets fans got today, let’s first cover the gastronomic bases. 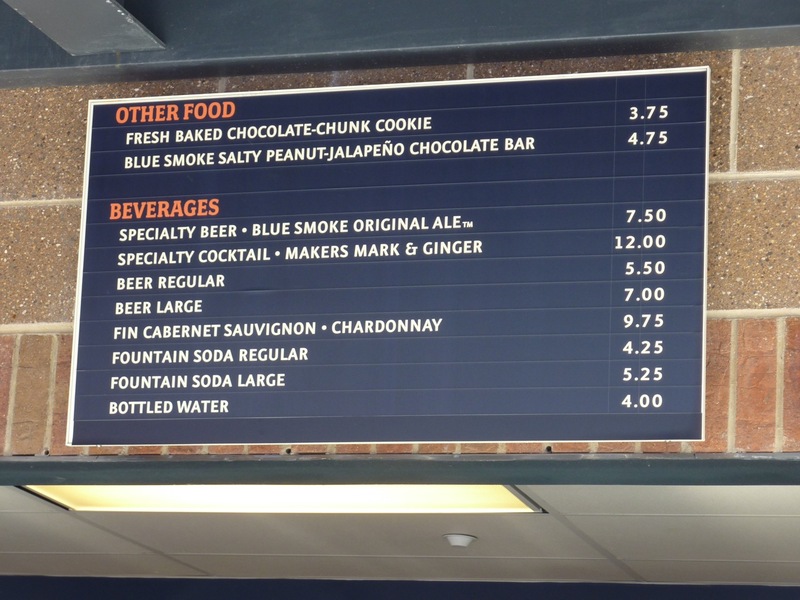 Ownership seems to know we’re coming to the ball park in part for the food, and perhaps for that reason they have made our goodies rather pricier. But there are some great new options, especially for non-beer drinkers like me! New Shake Shack prices are up from last year, as you can see. Old prices at left, new at right. 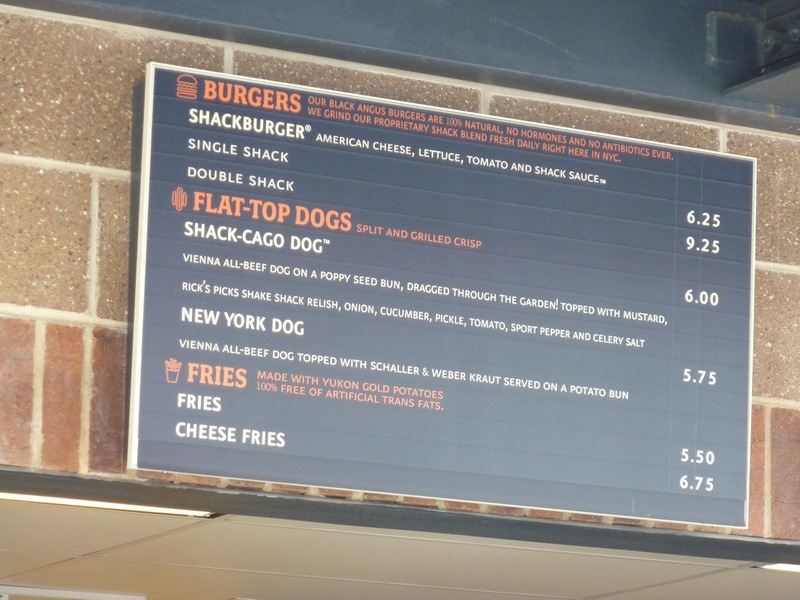 A single shack burger is up $.50, double $.50, and the fries are even more, up $.75 for regular and $1.00 for the cheese. 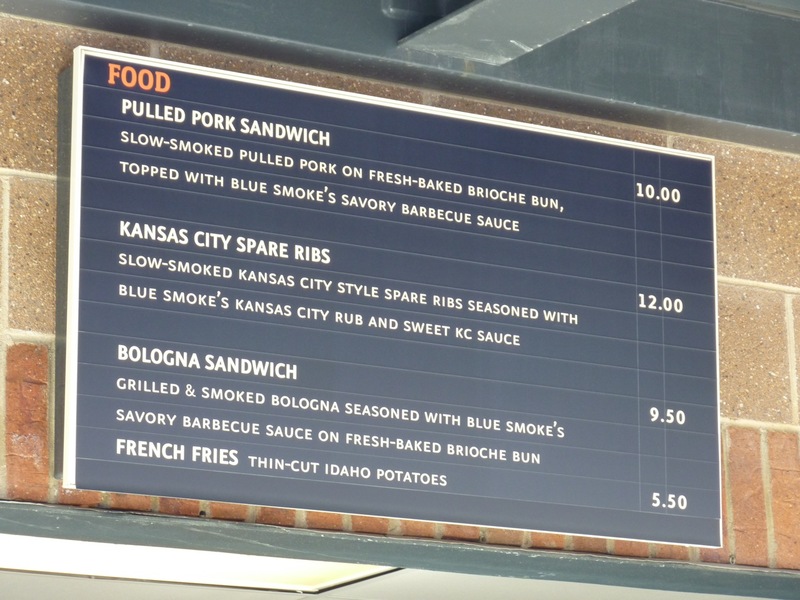 For Blue Smoke, prices are up a dollar for the pulled pork, 2 bucks for the ribs, and $.75 for the fries. 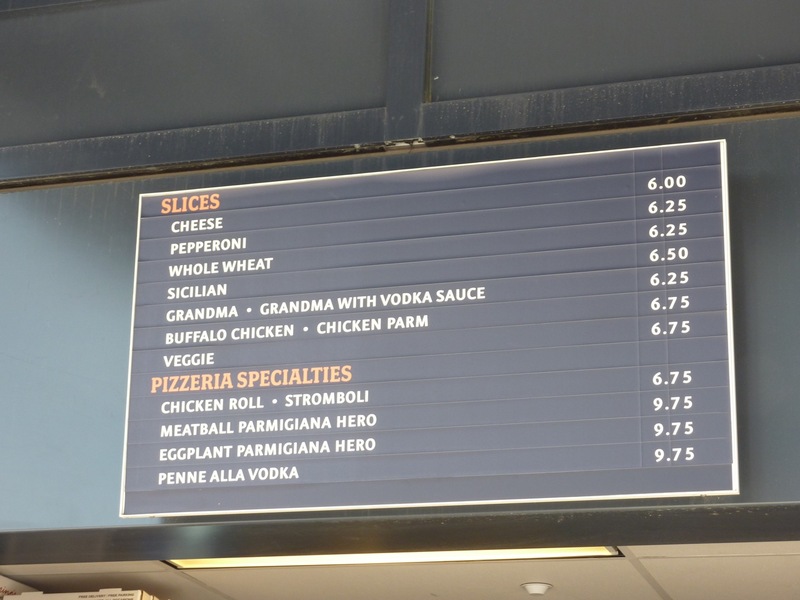 And it seems that the wings have been replaced by a bologna sandwich, for $1.50 more. 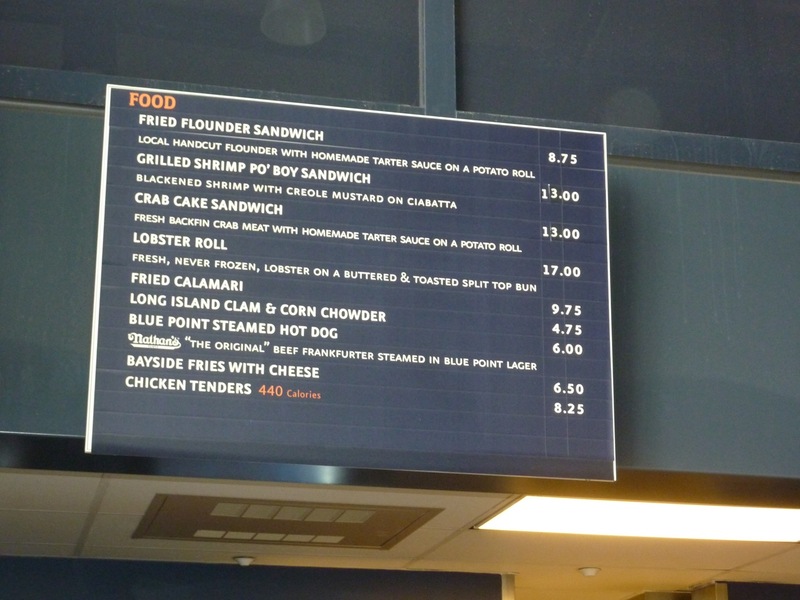 (See ’09 menu at left, ’10 at right). Also at Blue Smoke (left) we have new dessert options and a Makers Mark and Ginger cocktail. 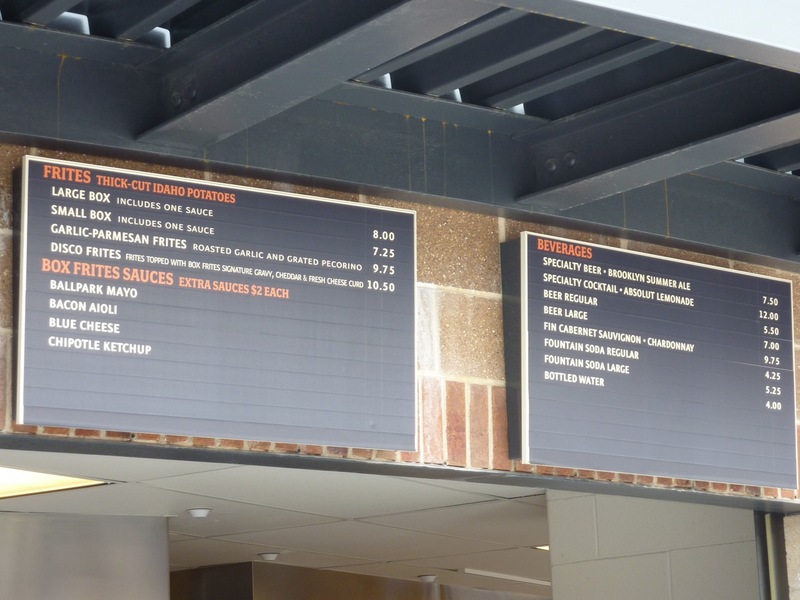 At right, see the Box Frites menu, with the new Disco Frites option and the “Absolute Lemonade” cocktail. Changes too at the Catch of the Day stand. 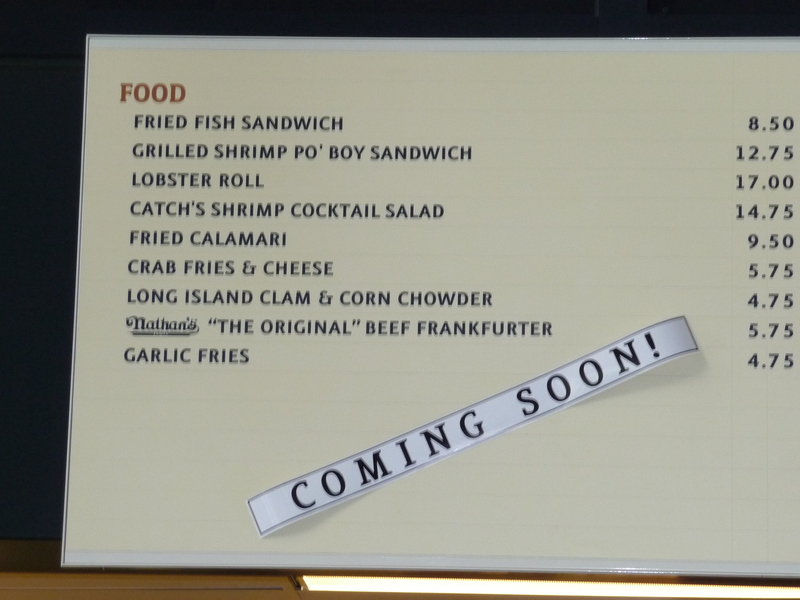 Gone is the shrimp cocktail salad (’09, left), and now there is a crab cake sandwich (’10, right). You can also get the Absolut Lemonade cocktail at the Catch of the Day. 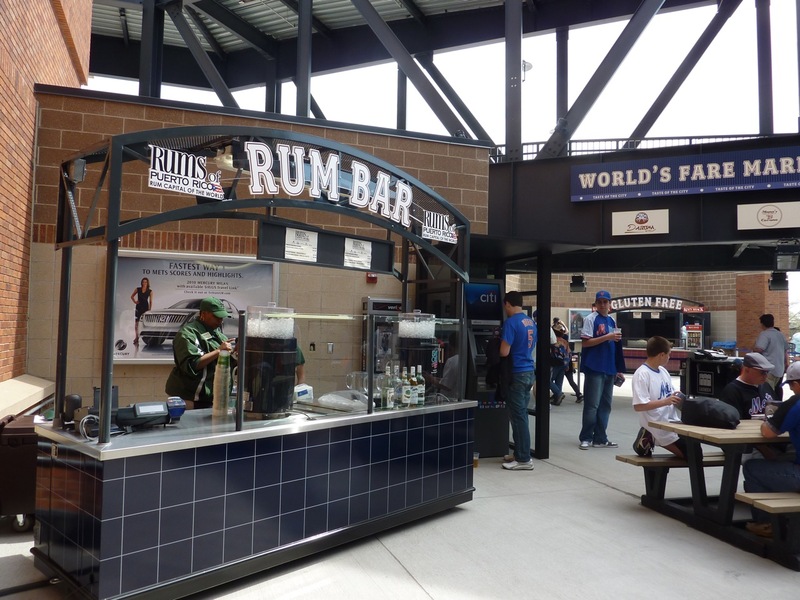 Here’s my new favorite: The Rum Bar by the World’s Fare market. I’ve bee wanting frozen drinks forever! Options include Frozen Bacardi Mango and Frozen Don Q Pina Colada. The mango was delicious (they were out of pina colada, alas!). These drinks are unfortunately pretty pricey: $12 for alcohol, $8 virgin. 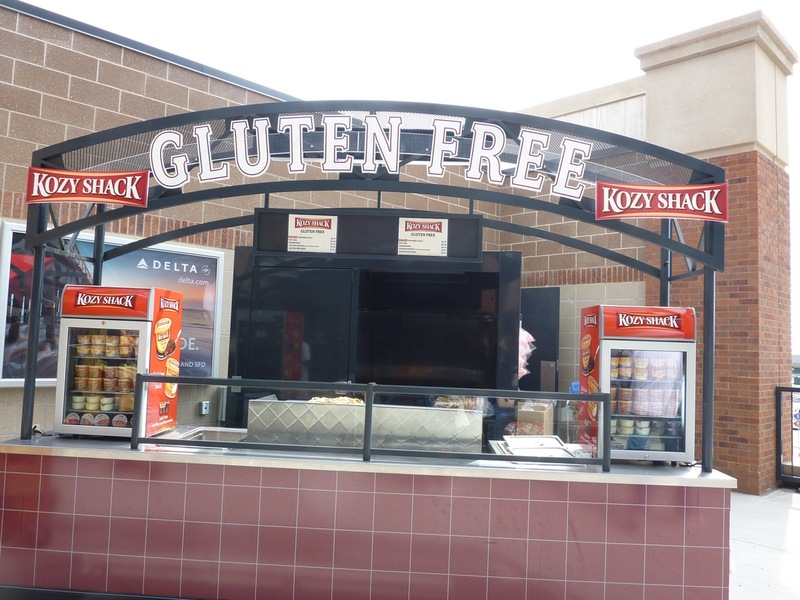 For gluten-free folks, there’s a new, much talked about Kozy Shack stand also by the World’s Fare. I saw some yummy onions and peppers being grilled up, likely for sausages. I also noticed bags of gluten free bread buns. And, of course, tons of pudding. I LOVE fruit. 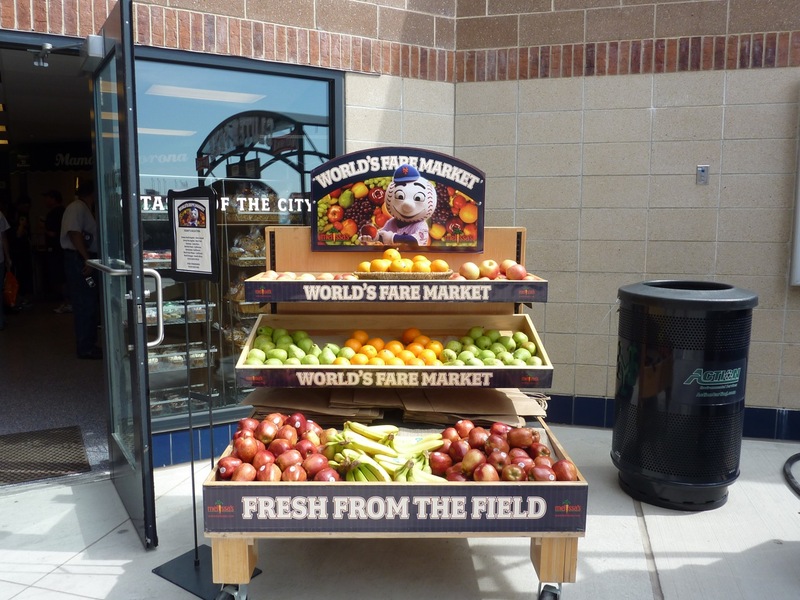 But I ain’t eating fruit at the ballpark. Still, here it is, a healthy option that’s good to have. Also, beer. Apparently this stand popped up for the first time last year. It’s still there in the halls of field level. liar with the Cinnabon, but I hear they’re very yummy. 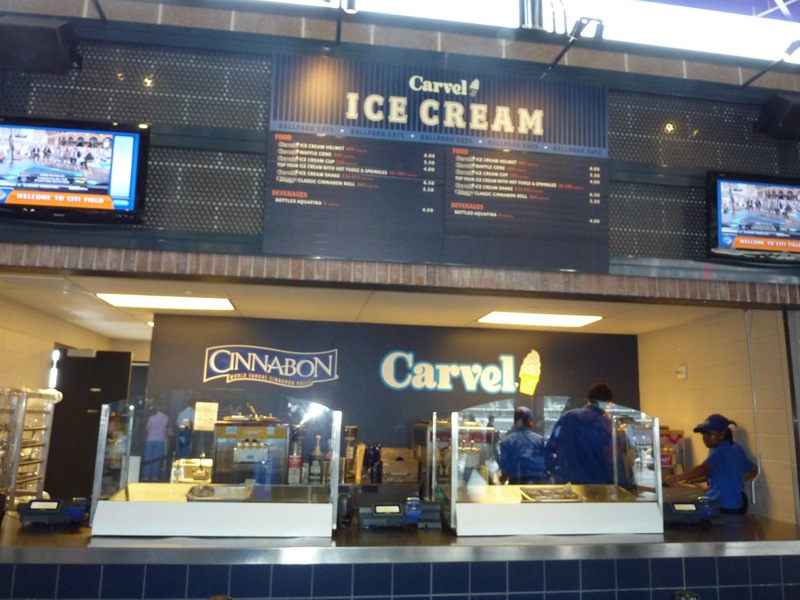 Here’s the Carvel/Cinnabon menu and also the outfield food court Mama’s menu–notice the new buffalo chicken and chicken parm pizzas. Still to come: Opening day post, along with a review of the new McFadden’s! P.S. 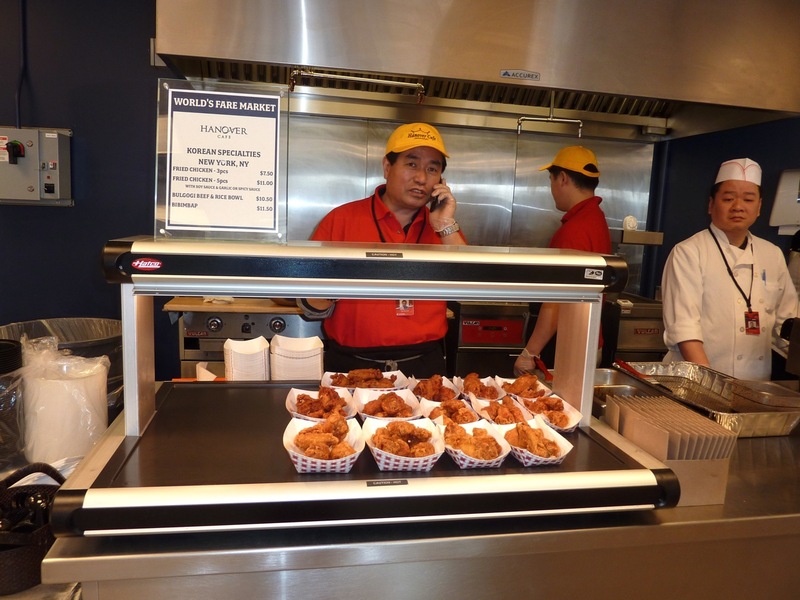 Okay, yes, I also took a picture of the new Korean fried chicken at the World’s Fare Market. I hear it’s supposed to be spicy, which sounds good to me! Excellent. 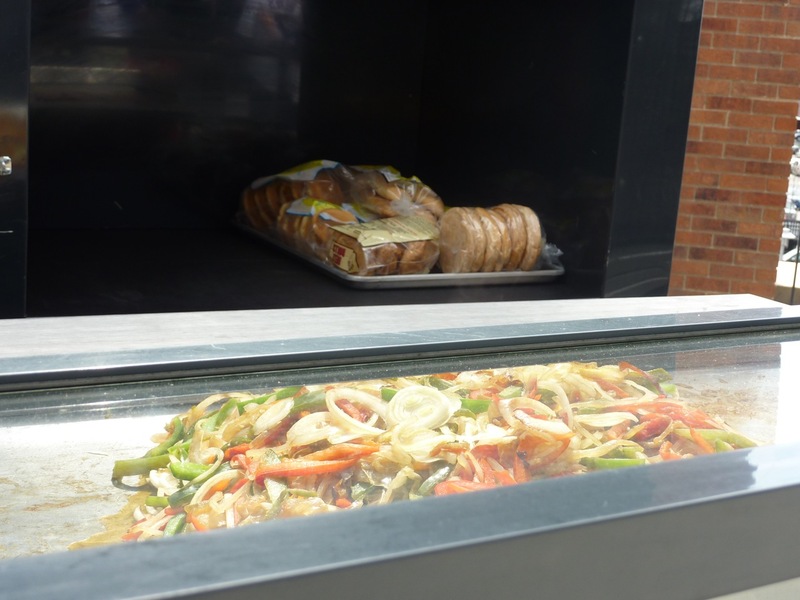 I took a billion pictures of food stands as well, but didn’t think to compare prices. The regular beer seemed the same, and the ‘premium’ big Apple Brews beer is up 25cents to $7.75 which is still surprising reasonable. Had the Disco Frittes at the ‘new’ Box Frittes upstairs. (Pretty good, but not overly amazing) Checked out the Acela Club. nice place. Promenade club is mostly the same, couple new pictures. Also on the beer front, a lot of the standard fare places now have Hoegarden or Stella Artois, which is a huge step up from Bud. 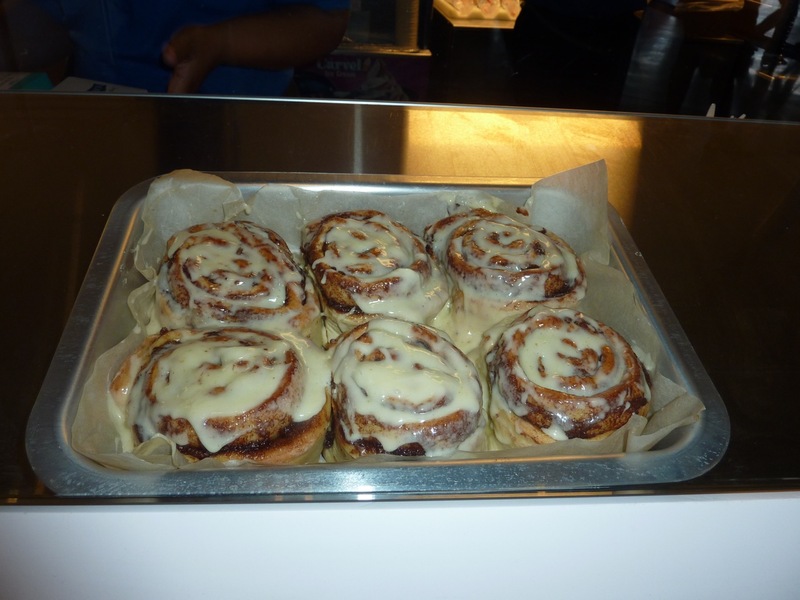 Cinnabons are DEFINITELY yummy – check ’em out next time! I do realize my eye for beer is weak indeed. Can’t stand the stuff! 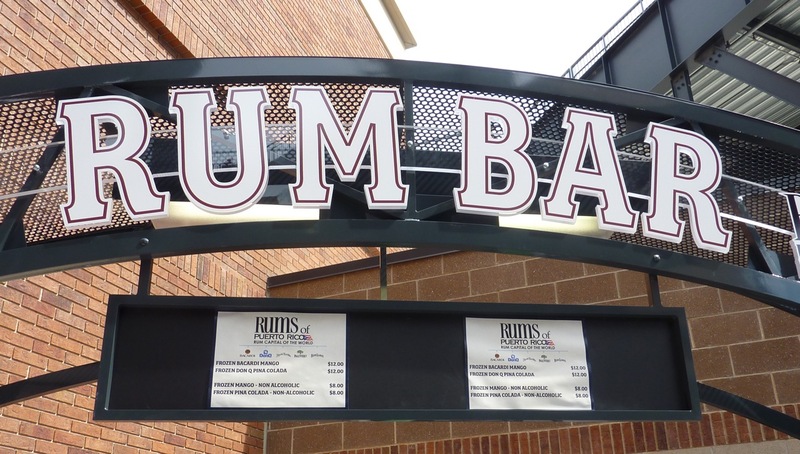 But I know it’s the usual ballpark favorite. I loved this entry. Most fans try to re-hash the game. How great were the off-white unis? I’ve got a weak spot for beer, so I always note that stuff. Although I didn’t get to check out McFadden’s. went home after the game. Also in terms of prices, never buy crap (err, Bud) from Big Apple Brews. 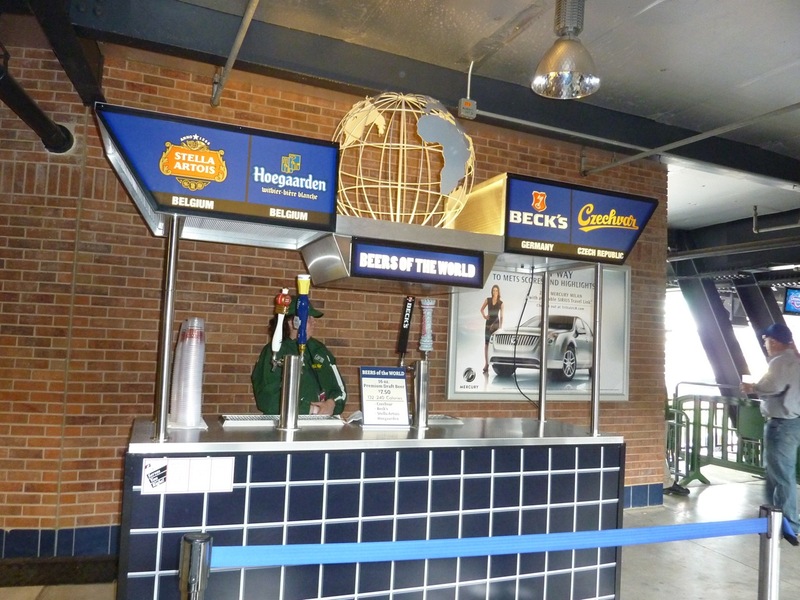 It’s more a premium place so all the beers are the premium price ($7.75) even though Bud is cheaper everywhere else. They did this all last year too, no idea why or how many people they fooled. But really, do yourself a favor and get real beer here instead of the yellow fizz. $12 cocktails seem about right. I was guessing it’d be $10-$13 or so. They’re using top shelf type stuff, so at least it’s quality. A margarita might pair nicely with the tacos, but I’ll stick to the beer. Hi! Great blog,thanks for the menu options! I didnt get a chance to go last season, but i already have tix to at least one game and plans to go to at least 3 more. 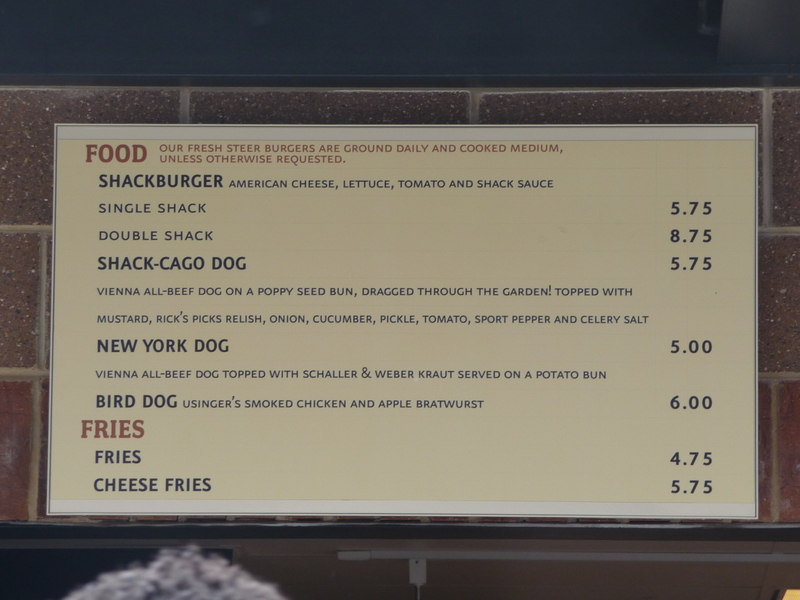 The guys at shake shack should change the name of the chicago hot dog. the “cago” part, is a kind of a curse word in Spanish stands for what you do when you go potty #2(I have a 4 year old, hence the word), haha! I cant wait to go and try some of the options! holy cow! never thought it would be possible to enjoy a cinnamon roll at a ballgame. that is nuts. 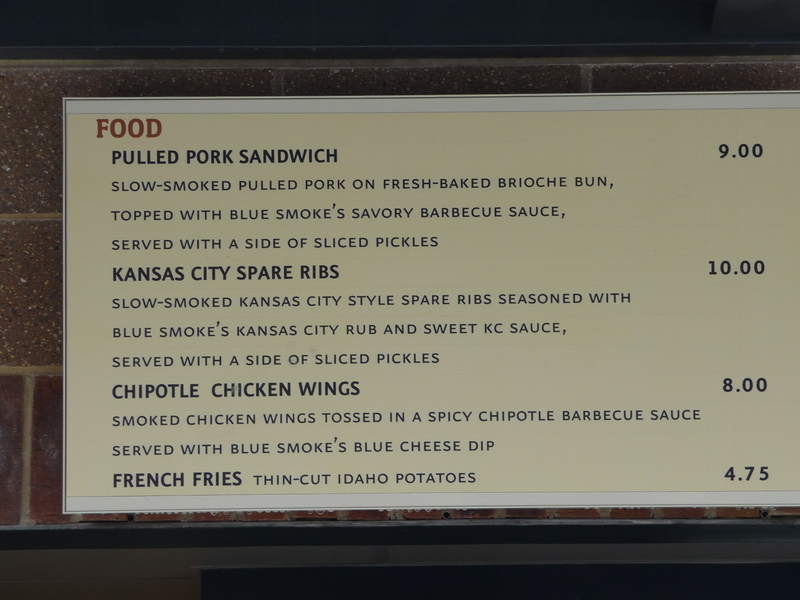 the options at stadiums these days is absolutely mind blowing. i still enjoy my pierogies at PNC Park! Congrats on the Game 1 win and Good Luck in Game 2! Great Job Zoe! 😀 looking around at all the choices yesterday while feeling starved wasnt a good idea for me. 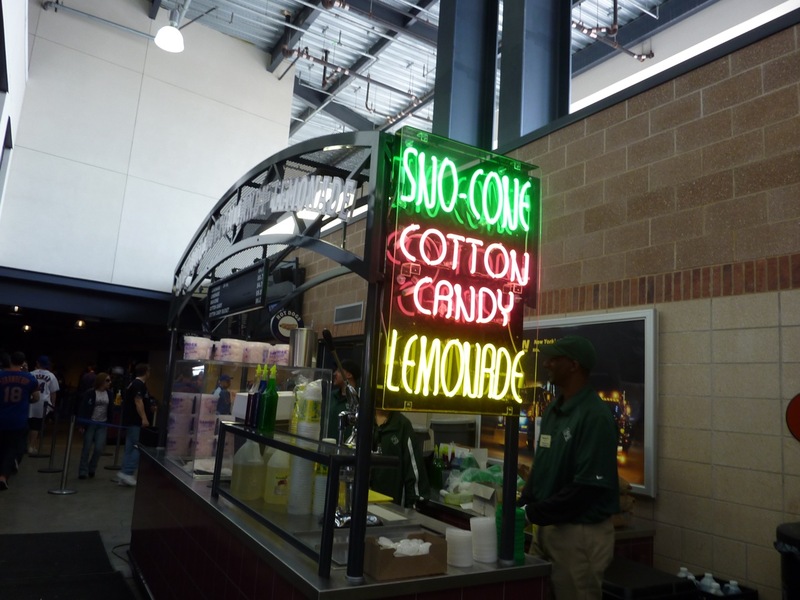 I wanted at least one of everything!…lol There was one other stand that you didnt touch on and that i tried…the Zeppoles Stand. My goodness the Zeppoles (spelling?) were outstanding! Actually I should call it Zeppole (singular), since instead of a bag or plate of a bunch of Zeppoles they served them as one, big individual Zeppole. This was fine with me. Whether a bunch of small individual Zeppoles or one big Zeppole it still tastes the same. DELICOUS. 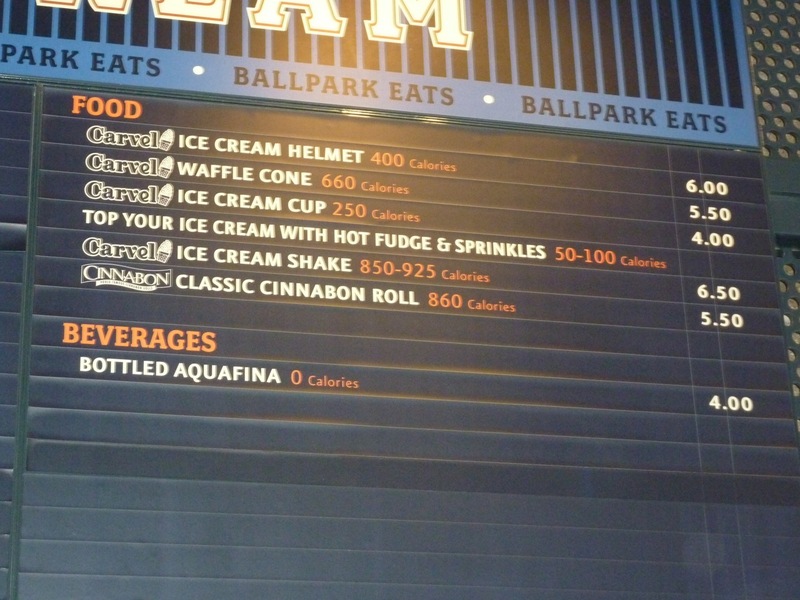 My only complaint is the posting of calorie content. I dont need to be reminded of how fat I am going to be after Fries, a Corn Dog, a Cheeseburger, Zeppole, and a large Reg. Pepsi…LOL. 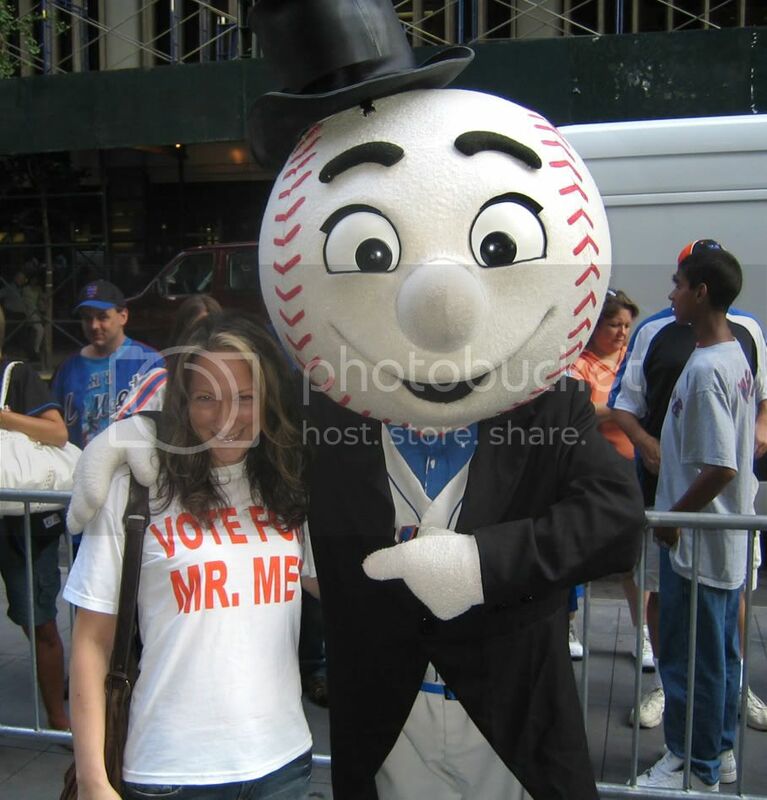 That complaint isnt for the Mets though, but for our fine mayor Bloomberg who made that wonderful rule. Again thanks for all the great photos and reviews Zoe.